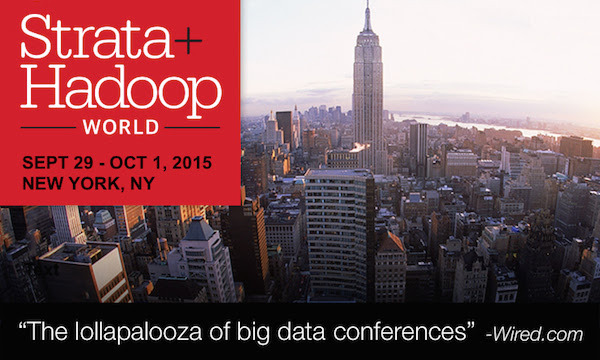 Strata + Hadoop World is September 29-October 1 in New York. Selling out last year with 5,500 attendees, the defining event of the big data movement is only getting bigger. The all new program includes: 11 tracks with 200+ sessions in Data-driven Business, Data Innovations, IoT & Real-time. A packed Events schedule: Data After Dark, Data Dash, Startup Showcase, Developer Showcase, Author Signings + more. Early Price ends on Friday, August 14—so grab your spot and don’t miss out.